You have several options when you need to solve systems of linear equations. One of the most accurate methods is to solve the problem algebraically. 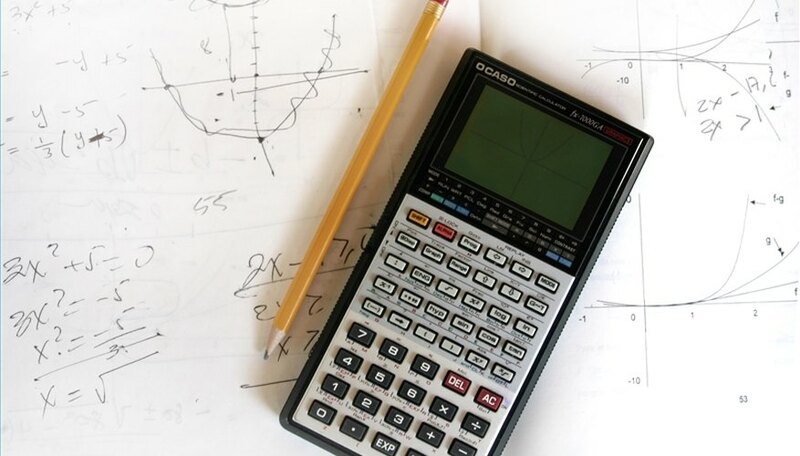 This method is accurate because it eliminates the risk of making a graphing error. In fact, using algebra to solve systems of linear equations eliminates the need for graph paper altogether. This is the best method to use when working with systems of equations that include many fractions or appear to have fractional answers. Start by solving one of the equations for either x or y. Choose the one that is the simplest to solve. In 2x - 3y = -2, 4x + y = 24, it is easiest to solve the second equation for y by subtracting 4x from both sides, giving you y = -4x + 24. Substitute this value into the first equation for y. This gives you 2x - 3 (-4x + 24) = -2. Notice how the y variable is now eliminated. Simplify the resulting equation. This gives you 2x + 12x - 72 = -2. This simplifies to 14x - 72 = -2. Solve this equation for x. Start by adding 72 to both sides of the equation to give you 14x = 70. Divide both sides by 14 to give you x = 5. Take this value for x and put it into one of the original equations. 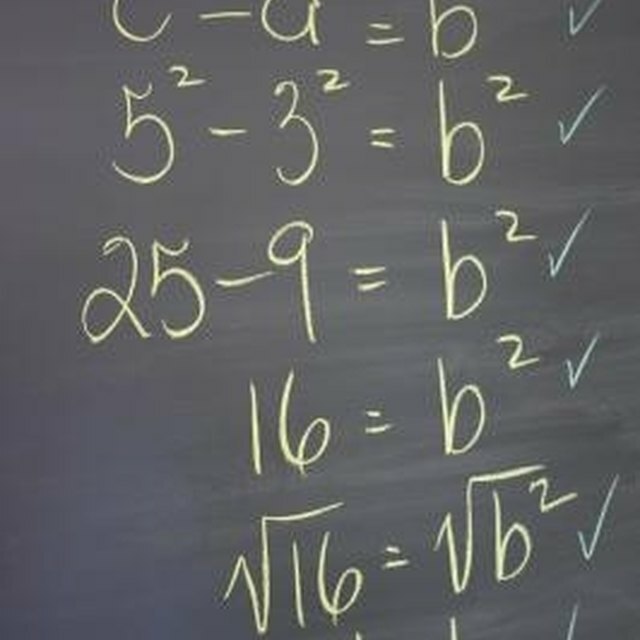 This would give you 4 * 5 + y = 24 if you use the second equation. Solve for y. In this example, 20 + y = 24. Subtract 20 from both sides to give you y = 4. State your answer as an ordered pair. The answer is (5,4). Check your answer by plugging these values into both equations. You should end up with two true statements. In this example, 2 * 5 - 3 * 4 = -2, which gives you 10 - 12 = -2, and this is true. For the second equation, 4 * 5 + 4 = 24, which gives you 20 + 4 = 24, which is true. The answer is correct. If you have a variable in an equation that does not have a coefficient, choose that one to solve for when you begin the process. It will be the easiest one to solve for in the problem. Once you find the value of one of the variables, you can plug it into either equation, as long as you use the original equation. Solving systems of linear equations algebraically is sometimes called the substitution method, but the process is the same no matter what it is called. Always check your answer. This is the best way to know if you made a simple mistake along the way. How do I Define Two Step Equations for Algebra 2? Harms, Nicole. "How to Solve Linear Systems Algebraically." Sciencing, https://sciencing.com/solve-linear-systems-algebraically-4501267.html. 24 April 2017.